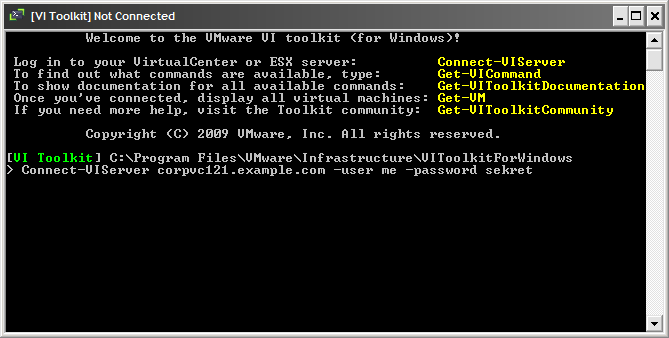 One of the first things that I noticed after launching my VI Toolkit (for Windows) 1.5 is the new prompt. 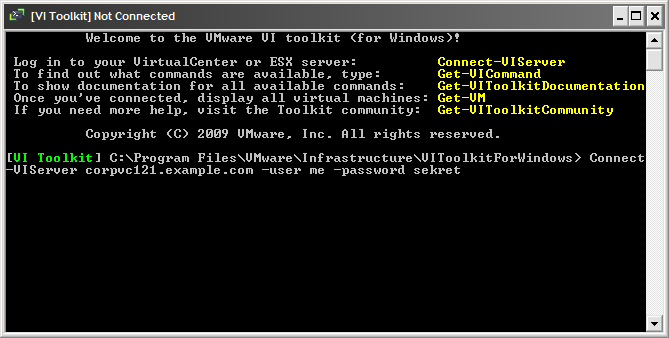 It’s tricked-out with color now, but unfortunately steps on the existing two-row PowerShell prompt I had configured on my system — which was working fine with VITK 1.0. I tend to use a two-row prompt in all of my shells (cmd.exe, Bash, PowerShell) because long commands get confusing when they wrap to another line. Some people think this is a terrible idea — if you are one of them, feel free to stop reading right now. I don’t think this change causes any harm to the VITK installation — please correct me if I’m wrong. Windows Registry Editor Version 5.00 [HKEY_LOCAL_MACHINE\SYSTEM\CurrentControlSet\Control\Session Manager\Environment] "PROMPT"="$P\\$_$G"